Arrive at Denver International Airport, just an easy 37 minutes from Denver on the airport train. Enjoy the morning in Denver Union Station, Lower Downtown’s (LoDo) transportation, dining, shopping and entertainment hub, all centered around the boutique Crawford Hotel. A direct rail service now connects Denver International Airport to this historic landmark. Try the breakfast burrito or pancake ‘flight’ at Snooze, a popular brunch spot or grab a latte and pastry at Mercantile dining & provision. After breakfast, walk to Rockmount Ranch Wear to shop for Western clothing in the home of the first snap button cowboy shirt. Explore Denver’s creative neighbourhoods like the Golden Triangle Creative District, home to the Denver Art Museum, famous for its American Indian and Western art collections. 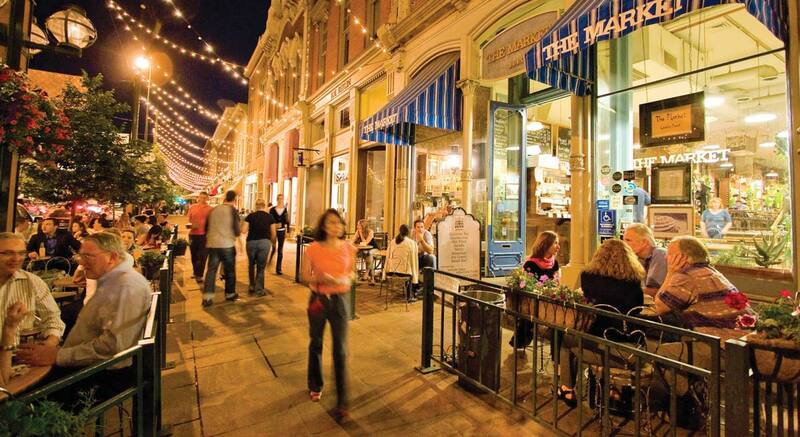 Finish your day in historic Larimer Square, home to the first saloons and businesses in the Mile High City. Today, the Victorian buildings have been transformed into shops, wine bars and the hottest chef-owned restaurants. Look for the sparkling lights strung across the street, relax at an outdoor cafe or bar and taste the best of cuisine created by local chefs Or, catch a game of one of Denver’s seven professional sports teams, listen to live music at Nocturne Jazz & Supper Club or Ophelia’s Electric Soapbox and see a Broadway show at the Denver Center for the Performing Arts. It’s not a true visit to Denver without partaking in some of the city’s best breweries, both well-known and up-and-coming alike. Visit the downtown Tourist Information Center to pick up a guide to some of the city’s 150 craft breweries, most in the walkable downtown area. Don’t miss Great Divide Brewing Company, Denver Beer Co., Wynkoop Brewing Company and the Falling Rock Tap House during your excursion. All of that beer sampling can certainly work up an appetite. Luckily, most Denver breweries have on-site food trucks to curb your cravings. If food trucks aren’t your forte, check out popular eateries like Linger or Root Down, both of which are located in the trendy Highlands neighbourhood. 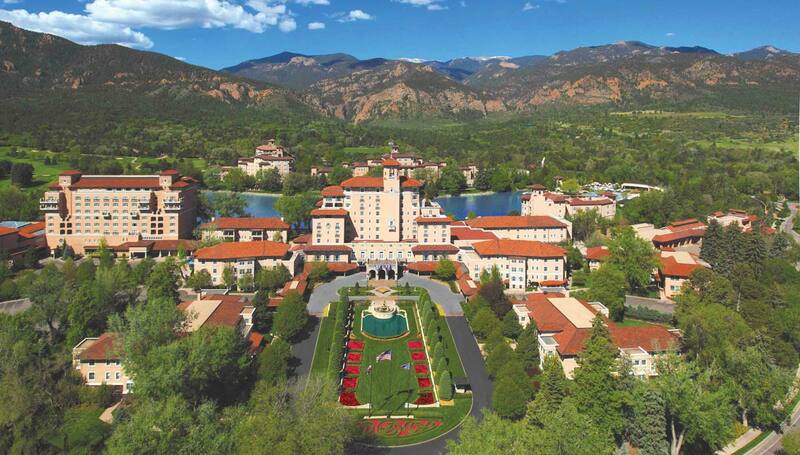 Check into The Broadmoor hotel and resort in Colorado Springs. Upon arriving at The Broadmoor, enjoy a swim in the outdoor zero-entry infinity pool or wander the beautiful hotel grounds. Take a moment to sit lakeside and experience the peacefulness of Cheyenne Lake and delight in the museum-quality Western art collection displayed throughout The Broadmoor’s historic halls. Conclude your stroll through the property by visiting one of the 24 boutiques located around the campus. For dinner, take in one of The Broadmoor’s casual dining experiences such as the lively English pub, The Golden Bee, or have an exquisite steak at La Taverne. The Broadmoor has 20 unique dining experiences to choose from. The Broadmoor is a golfer’s delight, home to three championship golf courses on the 1,214-hectare property. Regardless of your handicap, you’ll find the East and West golf courses challenging and enjoyable. Outdoor enthusiasts will want to visit the Fly Fishing School or check out Broadmoor Outfitters’ activities such as mountain bike rentals, hiking tours, archery, rock climbing and more. 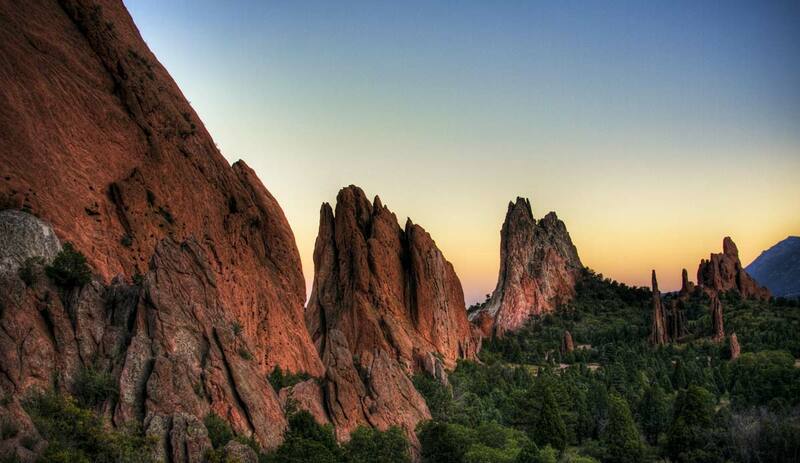 In the afternoon, explore the wonders of Colorado Springs including the Garden of the Gods Park, where ancient rock formations tower over the myriad of hiking and cycling trails. Then take a quick shuttle ride from The Broadmoor to visit Cheyenne Mountain Zoo, America’s only mountain zoo, or Seven Falls, a dramatic series of seven cascading waterfalls. The brave of heart can try the Soaring Adventure, a series of zipline courses and rope bridges across the Seven Falls Canyon. Consider lunch at Restaurant 1858 overlooking the waterfalls’ natural splendour. For dinner, savour the Italian flavours at Ristorante Del Lago; try the ‘Taste of Del Lago’ menu for a sample of the restaurant’s authentic Italian cuisine. Journey to the top of Pikes Peak via car, hiking or shuttle. Pikes Peak is the second most visited mountain in the world. See first-hand the beauty that inspired Katharine Lee Bates to pen her famous song ‘America the Beautiful’ as the world’s highest cog train winds you to the top of America’s Mountain. After your journey to the summit, return to The Broadmoor and enjoy lunch at Natural Epicurean, where freshly prepared meals made from locally sourced ingredients fill the plates. Spend your afternoon at The Broadmoor’s Forbes Five-Star full-service spa. Choose from a variety of specialty massages and treatments, or soak in a herbal bath with salts soaks in a variety of tantalising scents. For dinner, options abound; consider The Penrose Room, Colorado’s only Forbes Five-Star restaurant. Depart from The Broadmoor after breakfast, travel up Highway 24 into the South Park region. Have lunch in Buena Vista before heading over Independence Pass and experiencing breathtaking views of Colorado’s Rocky Mountain Range at the top of the Continental Divide. Arrive in Aspen and check in to Hotel Jerome, The St. Regis Aspen Resort or The Little Nell. While Aspen is known for world-class skiing, a different Aspen emerges when the snow melts and rivers run. 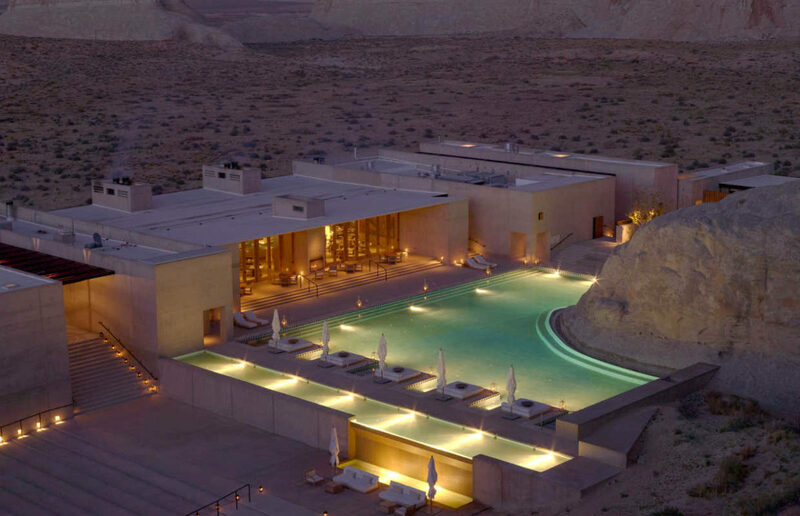 An explosion of arts and culture mix with outdoor adventure and luxury experiences in this picturesque destination. Aspen is a diverse community situated at the exact spot where relaxed mountain lifestyle and elevated luxury cross paths. 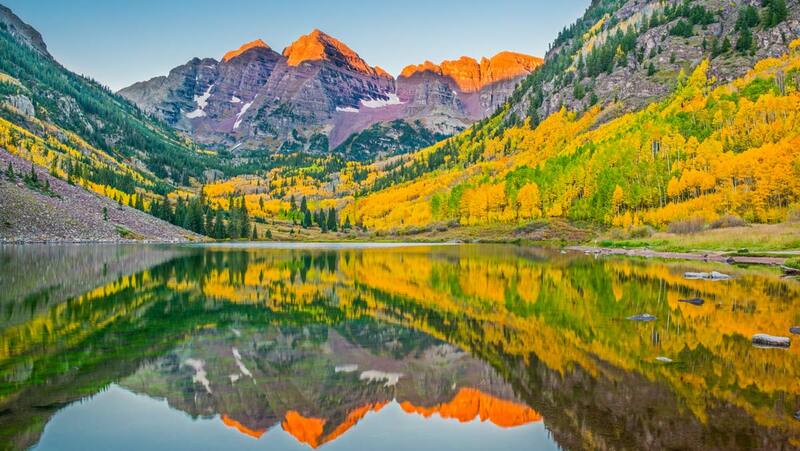 No trip to Aspen is complete without a visit to the Maroon Bells, the most photographed peaks in North America. Take a scenic walk around Maroon Lake or a brisk hike up to Crater Lake. In the afternoon, stroll the historic and charming downtown of Aspen filled with luxury shopping, including Prada, Louis Vuitton and Ralph Lauren, art galleries and fine dining. Enjoy lunch alfresco on one of the many scenic patios. Treat yourself to one of the award-winning spas, located conveniently at the Hotel Jerome or St. Regis. From champagne to luxurious throws and customised treatments, your trip to Aspen will help you escape to a sanctuary of indulgence and relaxation. Finish your day with dinner in one of Aspen’s many restaurants, with fresh menus and culinary talent to please any palate. 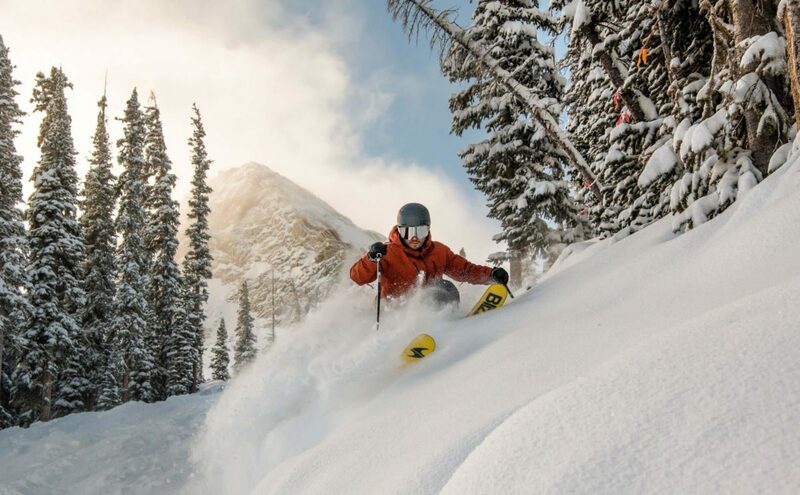 Following dinner, relax at a jazz show at The Little Nell, catch a concert at the legendary Belly Up, or enjoy Aspen’s famous nightlife at one of the many lounges, bars or clubs. Enjoy the activities Aspen has to offer! Imagine yourself soaring directly over Aspen’s Rocky Mountain peaks and getting an exclusive, bird’s-eye view of miles of untouched terrain. When the pilot lands, you realise you’ve just become a part of an exclusive group of adventurous travellers. Ten awe-inspiring minutes in the air just brought you to a wild backcountry that normally requires a five-hour hike. Oh to be a trout in Aspen! Lush surroundings aside, the chance to outwit anglers who travel from around the world to fish these legendary waters must be quite the honour. The Frying Pan or any number of private Gold Medal waters throughout the Valley are home to your next catch. Guides will assist you in reading the water, professional casting techniques and demonstrating how to successfully present your fly or lure in order to hook your next fish story completely devoid of fiction. Delete whatever is on your camera’s memory card, because the two-, four- and six-hour off-road jeep tours provide endless photographic opportunities. 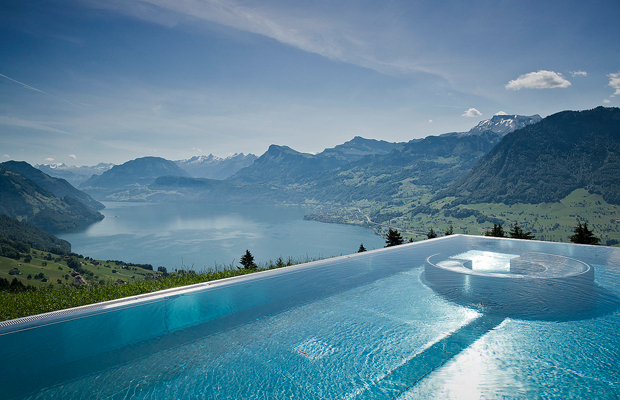 To say these tours are awash in splendid scenery would hardly do justice to an otherwise indescribable adventure. Trips may follow Aspen Mountain’s Summer Road up, up and away until reaching the 3,417-metre summit. Here you’ll look down on the town of Aspen, across the Maroon Bells wilderness and out to the Continental Divide. Depending on the tour, you may also travel over butterfly-inducing ridge lines, across the shores of crystal-blue lakes or through the middle of a forgotten ghost town. Depart Aspen and take the CO-82 West through the charming town of Glenwood Springs. Take some time to soak in the world’s largest mineral hot springs pool, then enjoy lunch before continuing on I-70 East towards the resort of Beaver Creek. 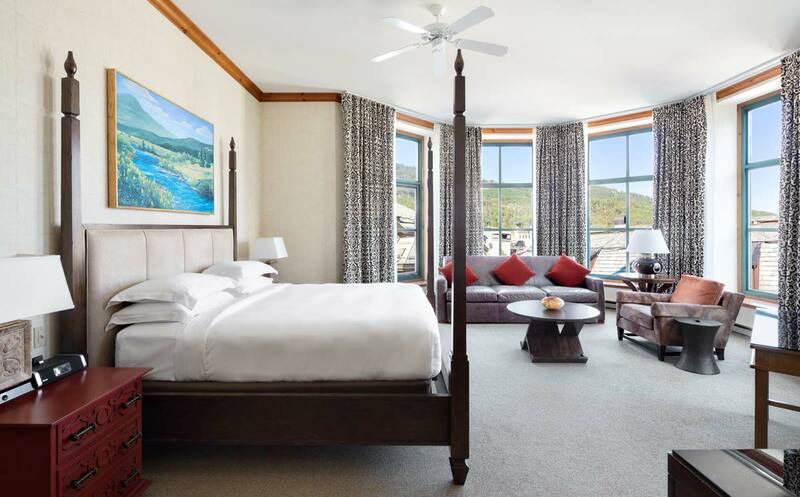 Arrive in Beaver Creek Village and check in to your luxury guest room at the multi-award-winning Park Hyatt Beaver Creek Resort & Spa. Inside, guests will enjoy a choice of hotel rooms, Fireside Suites or Parlor Suites. Amenities abound throughout the resort; Allegria Spa has 23 treatment rooms, a water relaxation sanctuary, fitness centre and mountainside heated year-round pool with five hot tubs. The hotel is ideally located in the heart of Beaver Creek pedestrian village with a year-round ice-skating rink, easy hiking, biking, horseback riding access to the mountain and over 100 shops and restaurants to experience and enjoy. This evening, experience 8100, a live-action bar and grill specialising in local, natural and organic dishes and featuring Colorado’s best microbrews, wines and spirits. Enjoy the evening at Villar Performing Arts Center, which offers classical music and dance performances, comedy shows, musicals, family entertainment and concerts by top acts such as the Beach Boys, Dwight Yoakam and many jazz and classical artists. Park Hyatt Beaver Creek Resort & Spa. 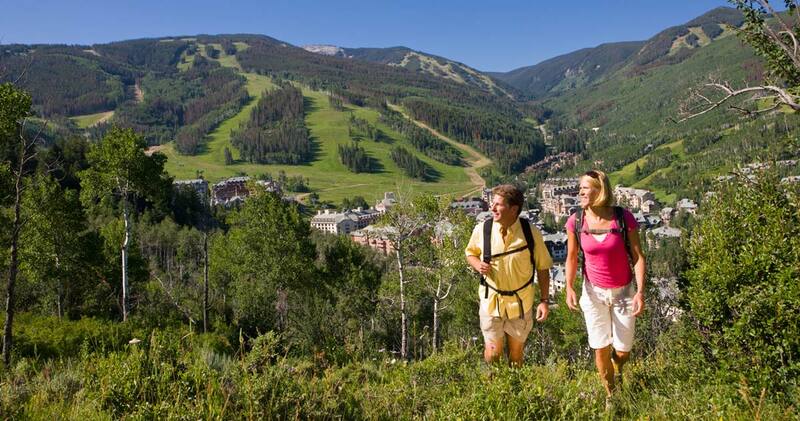 Anxious to get out there and explore all the exciting activities Beaver Creek has to offer? Grab a freshly brewed coffee or cappuccino and delicious pastry in the cafe to get your adrenaline going on the way to the hiking trails. Pack a basket filled with gourmet sandwiches, salads and your favourite treats for a picnic break while hiking, biking, rafting or sightseeing. With so many options, simply choose your adventure and let the concierge desk take care of the details. Summer in the mountains of Colorado includes great adventures such as horseback riding, jeep tours, chairlift rides up Beaver Creek Mountain to spectacular views for lunch and a great walk back down if you choose. Pamper yourself at Allegria Spa, one of the top-ranked Rocky Mountain spas. With nearly 3,000 square metres of treatment facilities and the newest exercise equipment, Allegria has become the premier all-season destination. Relax in the Aqua Sanitas sanctuary or one of 23 newly redesigned treatment rooms. Other facilities include a year-round, heated outdoor pool, five outdoor whirlpools, jogging paths, bicycling trails and an 18-hole golf course at Beaver Creek within walking distance (guest tee times guaranteed). In the afternoon while heading back to Denver you can stop by the Outlets at Silverthorne, featuring over 50 of your favourite top name brands at a great saving, or pay a visit to Cherry Creek Shopping Center, located in the heart of Denver. 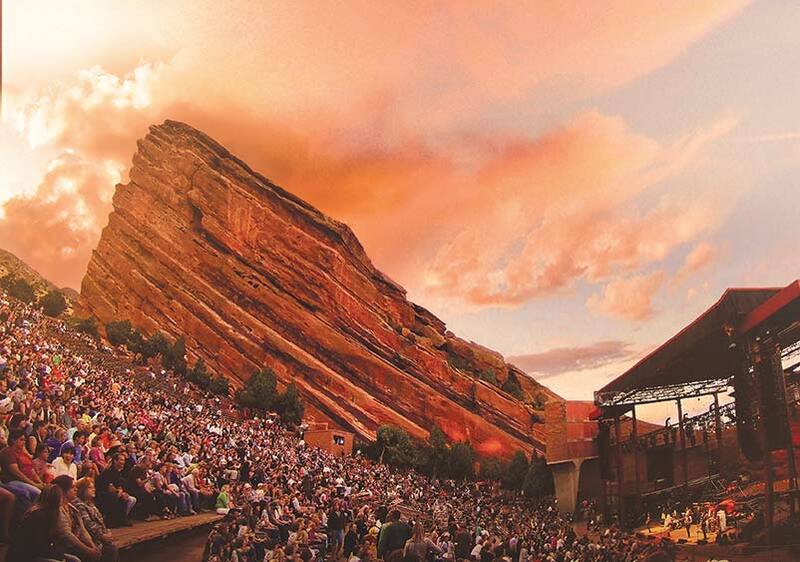 This article was produced with content supplied by Colorado Tourism Office and is a Signature Luxury Travel & Style digital exclusive. Be the first to see more exclusive online content by subscribing to the enewsletter here.